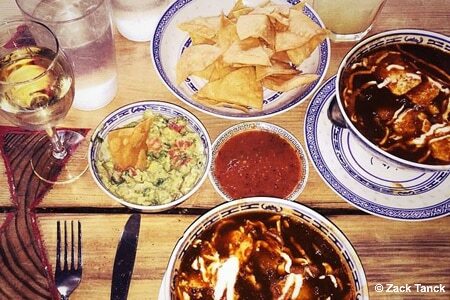 Creative Mexican fare on the lower Lower East Side. 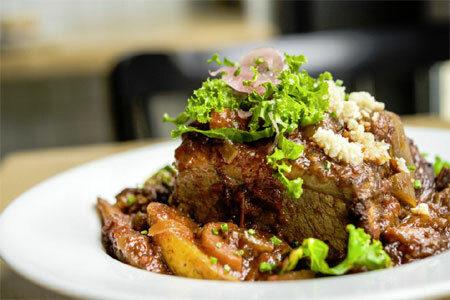 : Named for its location---in the southern section of the Lower East Side where Chinese and Hispanic cultures cross---this ten-table Mexican eatery focuses on small plates and strong cocktails. The atmospheric space, with exposed brick walls and hanging Chinese lanterns, is the perfect venue for sampling the creamy jicama-laced guacamole (and homemade chips), the rich mole-slathered chicken enchiladas, and the savory chile en nogada (a grilled poblano pepper stuffed with pork, pears, apples and raisons and then topped with a walnut sauce). A visit wouldn’t be complete without a margarita, mixed with your choice of jalapeño-infused or (the even spicier) habanero-infused tequilas.